The fervid mind of the Prince of Sansevero, who was “unable to restrict himself to only one subject”, continued to create wonders. His palace in Largo San Domenico Maggiore become a focus for academics and travellers on the Grand Tour, curious to see his exceptional inventions, whose secrets, however, he never fully revealed, including artificial gems and coloured marbles, paintings using the so-called “colori oloidrici” and wool (producing special optical effects), experiments in palingenesia, and desalinating sea water. These and many other experiments amazed his fortunate visitors. The so-called Anatomical Machines were disconcerting. Di Sangro kept them in his “Apartment of the Phoenix” (today they are displayed in the Museum). The complicated mechanism of a great musical clock which he had designed and situated on the small bridge which connected the palace to the Chapel also amazed all who saw it. His genius also found expression inside the Chapel. In 1759, the long inscription dedicated to him was created using chemical solvents, and from the mid-sixties Francesco Celebrano worked on his sensational inlaid Floor Labyrinth, making use of a method di Sangro had explained to him. In the meantime, the allegoric-initiatic path of the mausoleum began to take shape, with the building of the other statues of the Virtues by Queirolo, Celebrano and Persico. As a demonstration of the care the Prince lavished on every detail of his wonderful project, in his will he urged his heirs not to modify anything in the order and symbolic arrangement he had conceived. In 1756, he published his Dissertation sur une lampe antique, in which he returned to topics similar to those addressed in the letters on the perpetual lamp. Even though after this he would publish no other works, in order to avoid censure, his intellectual activity did not cease. He was also a member of the Società Colombaria, a scientific-literary academy in Florence, and was friend and correspondent of the illustrious exponents of the world of culture. Antonio Genovesi, a luminary of eighteenth-century thought, sent the last letter he ever wrote a few days before he died to the Prince. 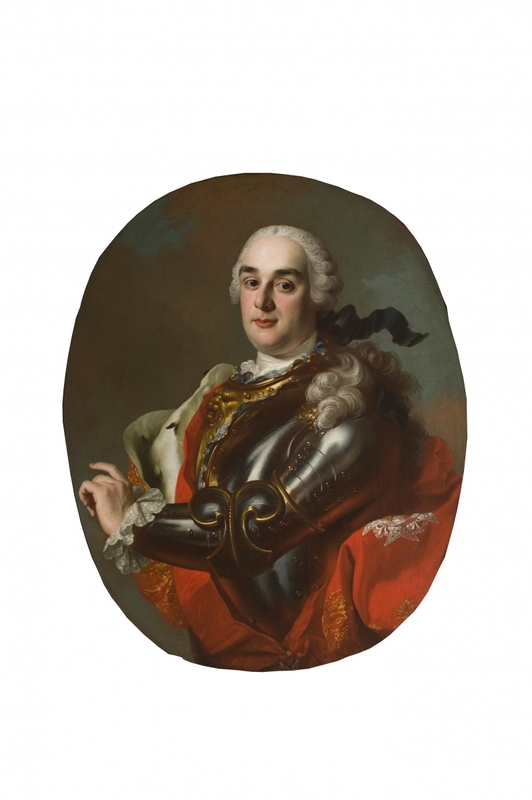 Fortunato Bartolomeo De Felice, enlightenment publisher active in Switzerland, kept in touch with di Sangro through his patron Vincent Tscharner. Giovanni Lami, editor of «Novelle Letterarie» in Florence, Lorenzo Ganganelli (later to become Pope Clement XIV), the physicist Jean-Antoine Nollet, and the geographer Charles Marie de la Condamine kept up epistolary exchanges with him. 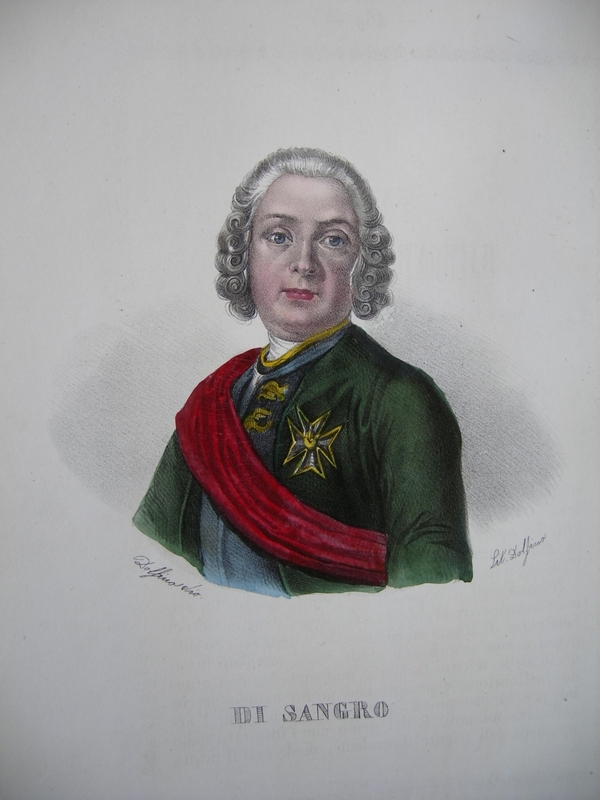 The astronomer Joseph Jérôme de Lalande, almost incredulous in the face of the culture and the personality of the Prince of Sansevero, commented that he “was not an academic, but an entire academy”. More than one book was dedicated to him. In fact 1755 saw a reprint in a single volume of The Iris and the Aurora Borealis, two scientific poems in Latin by the Jesuit Carlo Noceti, with a parallel Italian translation. This edition, printed at the Imperial Press in Florence, opened with a long dedication to Raimondo di Sangro by the erudite Tuscan Anton Francesco Gori. In 1764-67, furthermore, the Prince of Sansevero financed a monumental edition in five volumes, which came out in Perugia, of the Iconologia of Cesare Ripa, an essential iconographic treatise published for the first time at the end of the sixteenth century. The last fifteen years of his life were marked by serious economic difficulties, which did not however distract him from his interests and from the demanding completion of the Sansevero Chapel. 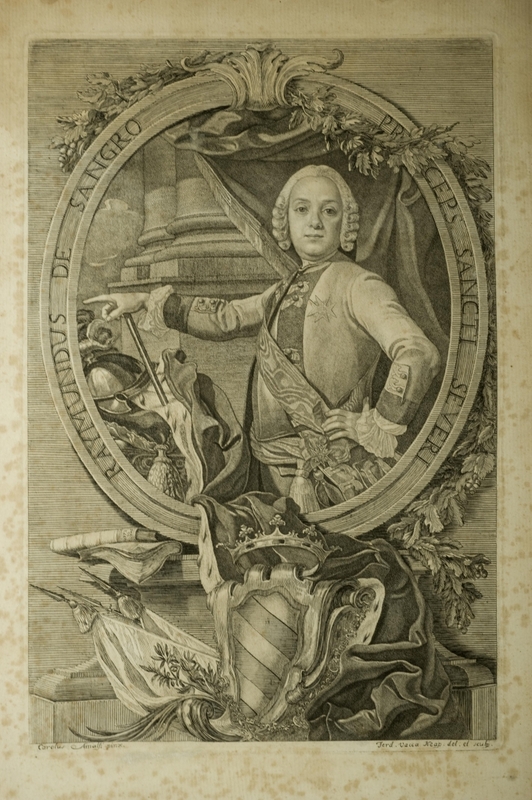 After the departure of King Charles for Spain (1759), furthermore, his relationships with the Court worsened, as he was ill thought of by the powerful Minister Bernardo Tanucci and other important personalities, who had not forgotten the Masonic affair and little tolerated his aristocratic pride and intellectual unorthodoxy. In July 1770, lastly, he made his last spectacular public appearances. For a number of Sundays he crossed the waters of the bay, from Capo Posillipo to the Ponte della Maddalena, on an “sea-going carriage” of his invention, which proceeded quickly across the waves thanks to a cunning system of paddle wheels. 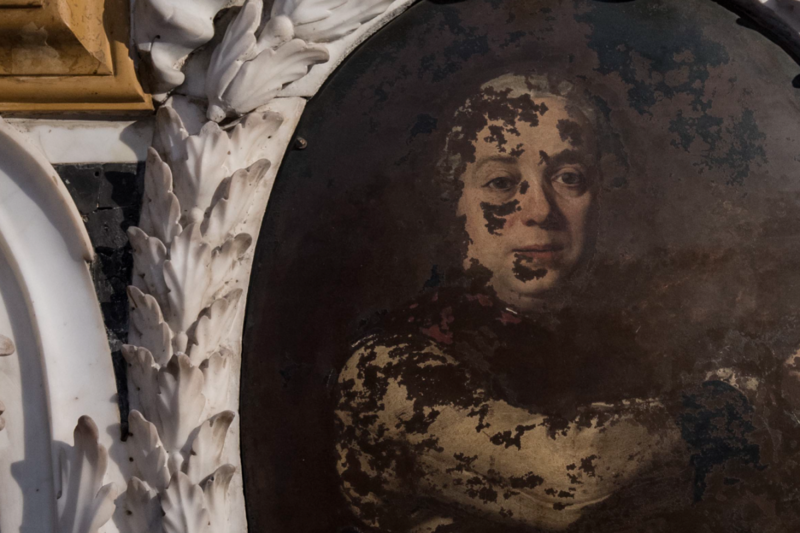 Shortly afterwards, on 22 March 1771, he died in Palazzo Sansevero, thanks to – according to the sources – a disease caused by his “chemical preparations”. Unconditionally loved or hated, sometimes considered a successor of the alchemic tradition and a “great initiate” sometimes an interpreter of the emergent modern science, Raimondo di Sangro left upon his death a myth that would be carried on throughout the centuries. The aura of mystery which still today, given the impossibility of marking the precise limits of his wide-ranging activity, surrounds the life and work of the Prince of Sansevero, must not however cloud the image of the refined intellectual, working in that fervent and fruitful age which was Naples at the time of Genovesi. He was the most representative and, at the same time, original exponent of the enlightened aristocracy, active in society, one of the first to read the signs of evolving history and to favour the civil renewal which would find its fullest expression in the events of the next generation.